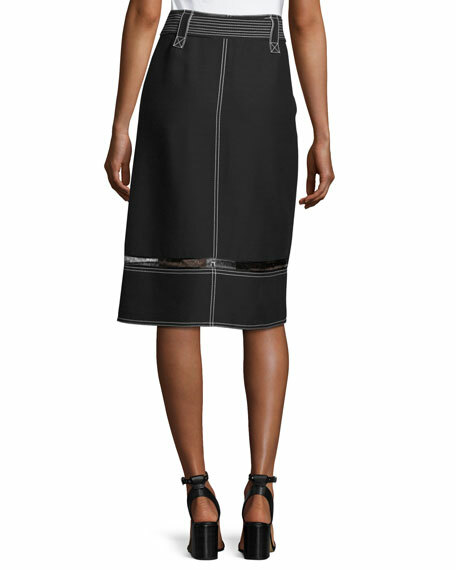 Derek Lam cady skirt with contrast stitching and lace insets. 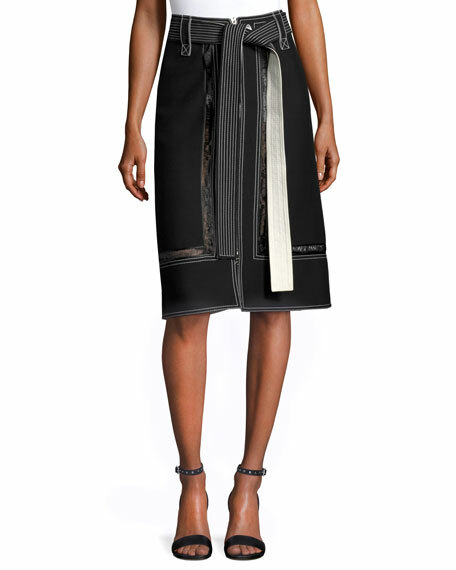 Channel-stitched self-tie belt at waist; belt loops. For in-store inquiries, use sku #2159915.